I haven’t done a wedding update in a while, and I thought it was about time seen as our save the dates are officially out! Do you like them? Zack and I actually designed them ourselves (more zack than me, I have to admit). We based the characters of us on our bitmojis, and the cinema theme is because we are getting married in a beautiful 1930s cinema (have I said that before now? Maybe not). Zack’s auntie actually drew and painted our design for us, and then I went and had it copied. I actually ended up getting it copied in Ryman and the staff were super helpful! I know it seems early to send out the save the dates (we have 19 months to go) but we needed to get them out ASAP, and I’ll tell you why. See, we are kind of doing a destination wedding in that it’s in the UK, so not abroad, but it is about a 4 hour journey from our hometown, so pretty far for our guests to travel. Because of this, we need a hell of a lot of hotel rooms. And it’s a bank holiday weekend with 5 other weddings on so I was slightly* (*very) worried. And, it turns out that I was right to be! The day after I sent out the save the dates (which don’t even have the hotel name on!) our hotel confirmed that they were booked up. So now our guests (and my bridesmaids!) have got to find somewhere else to stay. Zack and I did look at other options for people when we went down to bath, and have a few recommendations. It would’ve been easier to have everyone in the same hotel but oh well. My main concern is that some of our less abled guests weren’t able to get a room, but I’m sure that between our families we can sort something out for them. I can’t believe that we’re booked up, to be honest, because everyone thought I was being a crazy bridezilla telling them to book their rooms in 2 years in advance! But, I’d just like to take this opportunity to say a petty I told you so 😉. Now that that’s done, I think wedding planning will be at a bit of a lull for a while. Zack’s away, and I don’t want to make decisions without him, so anything we’ve got left to plan is waiting on his return. The only plans I’ve made at the moment are things that don’t really involve him (like the hen party and my dress!). I have also been making a few enquiries to get some price estimates for things that we know we want so that we know how much to save. I’ll talk budgets etc in more detail after the wedding, I’m sure. I’ve also picked up some bits as and when I’ve seen them, including some gorgeous gift bags for my bridesmaids! I’ve got a surprise planned for them all the night before, and I’ve decided that I’m going to write a whole separate post about that after the wedding too! My dress doesn’t arrive in store until after Christmas, but I already cannot wait to try it on again. I’m holding back, though, because I don’t want to try it on too much and fall out of love with it! It’s probably a good thing that I’m going to be in Leicester (far away from the shop) pretty soon. 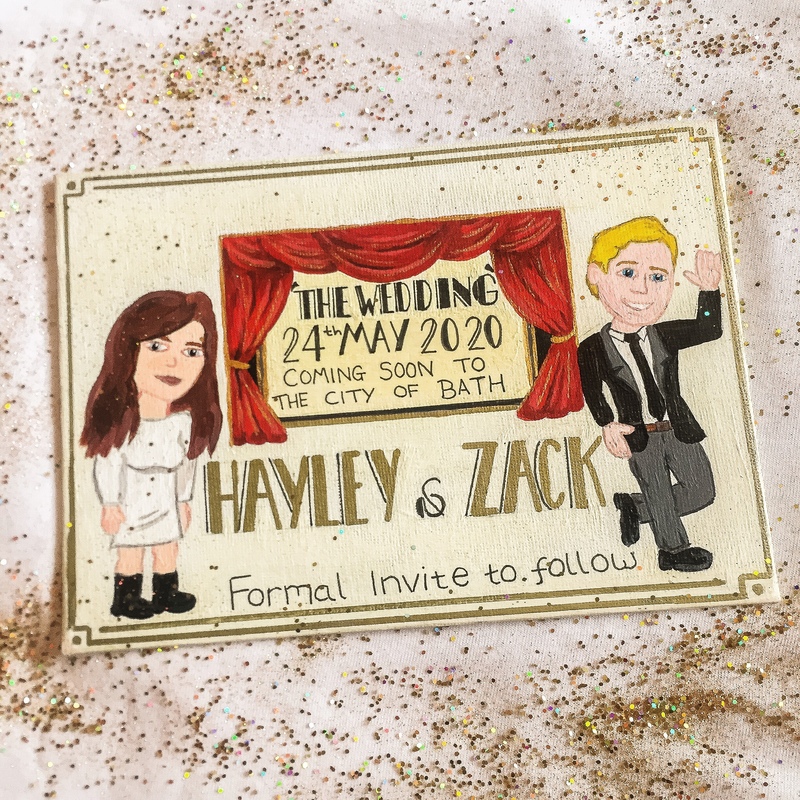 We’re planning to send out our invites with a year to go so that the rest of our guests can book a hotel, and we are actually having a photo shoot for those, so that may well be my next update! Next Post Weekly Vlogging My Third Year!